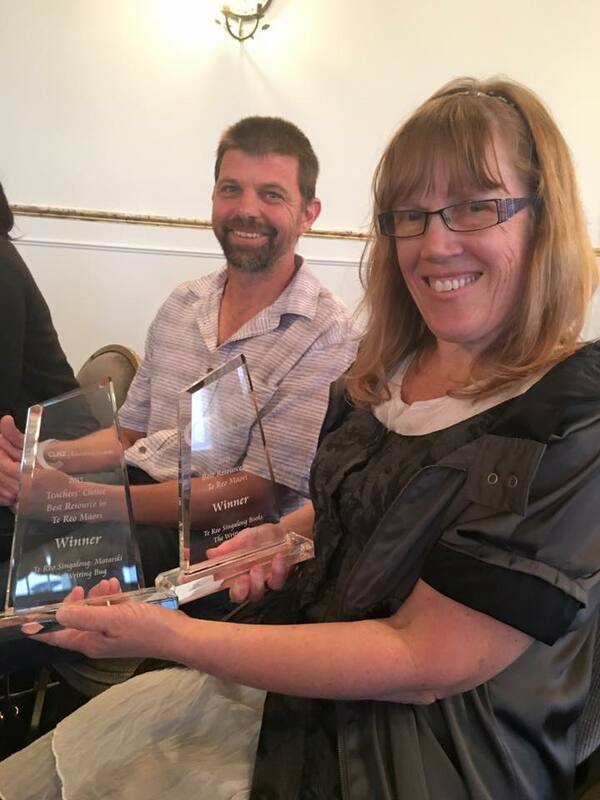 When we travelled to Auckland for the CLNZ Educational Publishing Awards in November 2015, we had no idea whatsever that we would win one award – let along two awards! Firstly, our series of Te Reo Singalong books was honoured by the judges as the Best Te Reo Resource published that year. It doesn’t take much to make me speechless, but I actually couldn’t speak for a while when our company name, The Writing Bug, was announced. And then, later in the evening, it got even better! In 2015, for the first time, teachers were asked to vote for their favourites in each category. And guess what? 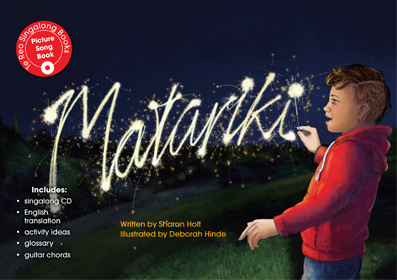 Our Matariki book won the Teachers’ Choice Award for the Best Te Reo Māori resource! It was so exciting – and of course I was speechless again. We were the only award winners to win both the judges’ and teachers’ choice awards for our category, which was an amazing honour. I was particularly happy to win this award because I hadn’t asked anyone to vote for me. As part of the announcement of the awards finalists a month or so earlier, it was suggested that each finalist let their networks know about the new category called Teachers’ Choice. The email encouraged us to ask teachers to vote for us. However, I didn’t take any notice of that email, because I don’t like to ask people to vote for me. I would rather that my books won on their own merits. And it happened! The teachers voted for our Matariki book without any pressure from us. It made the award even more special! I was also really glad that I had invited two special people to enjoy the CLNZ Educational Publishing Awards ceremony with us. One was our friend Dr Maggie Buxton who has been a mentor and close friend for many years. Maggie was the person who really encouraged me to try to publish Te Reo Singalong books myself, when I couldn’t find a publisher. The other special person and mentor who joined us at the awards was Madelize Bekker, who believed in our idea so much that she funded us to publish the first two books in the series. We drove back home to Hamilton that night with two beautiful awards and huge smiles on our faces!